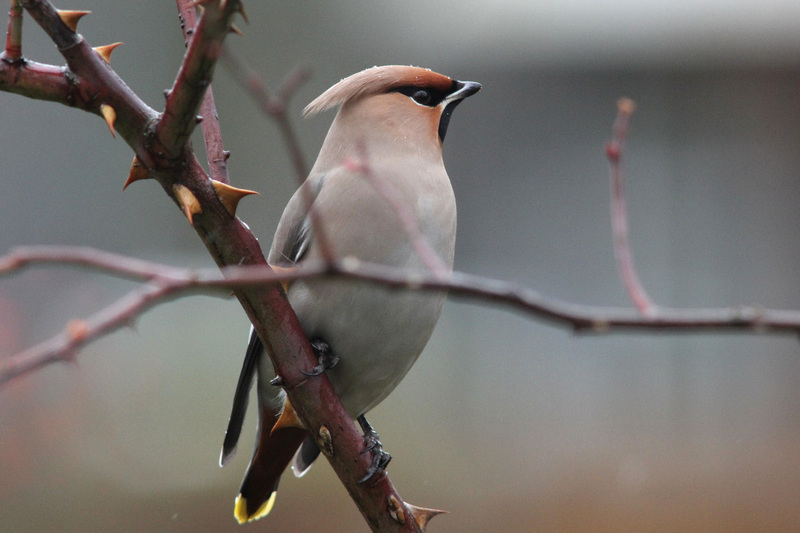 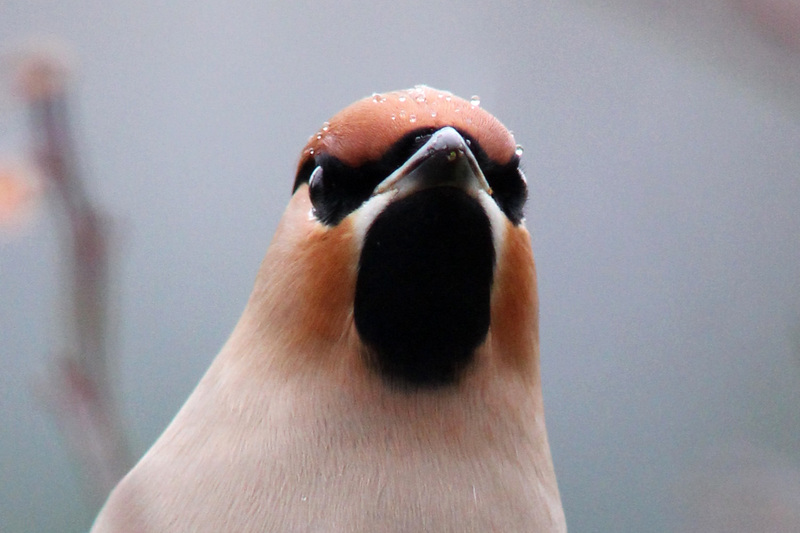 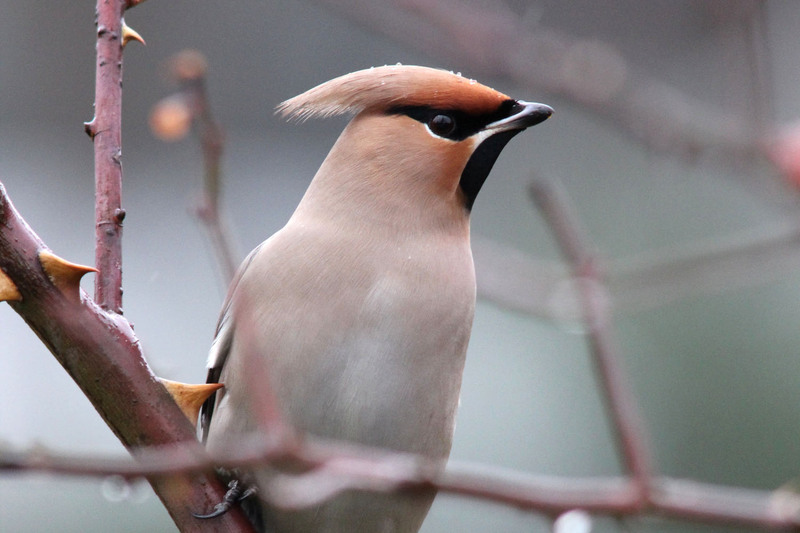 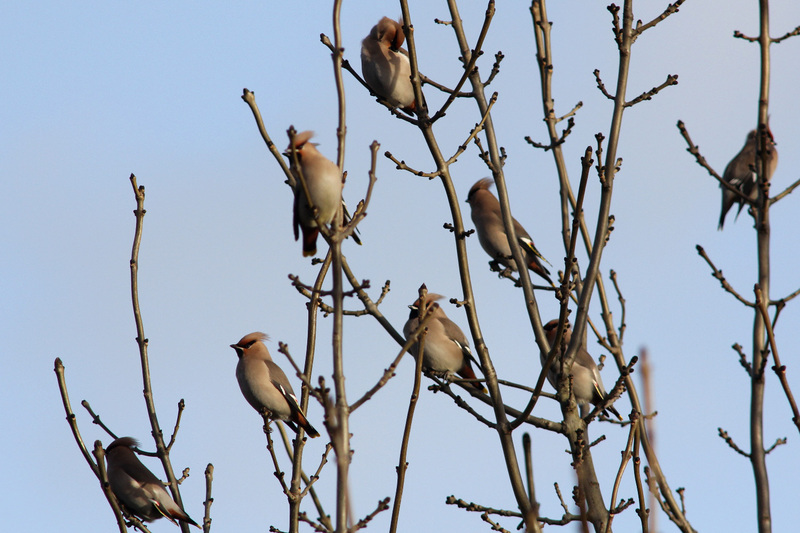 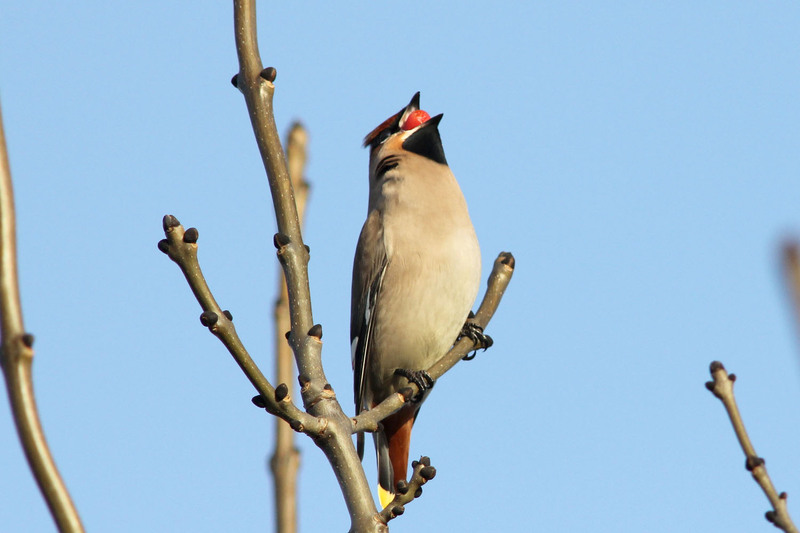 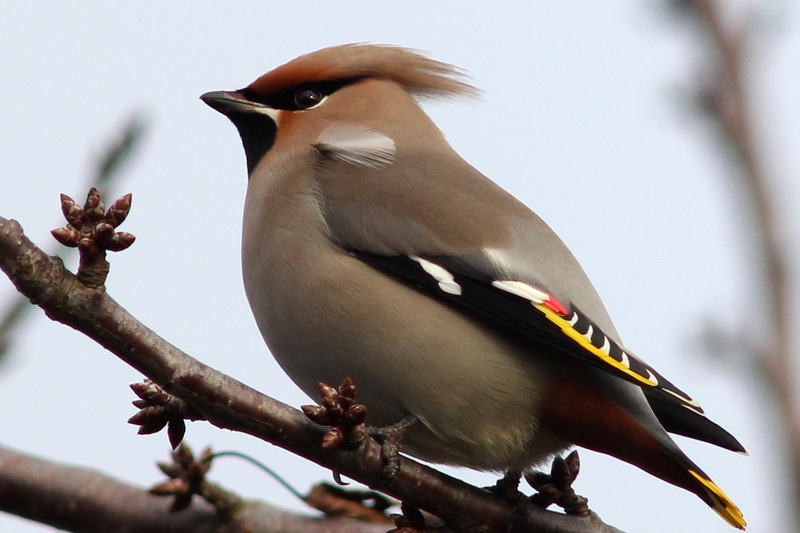 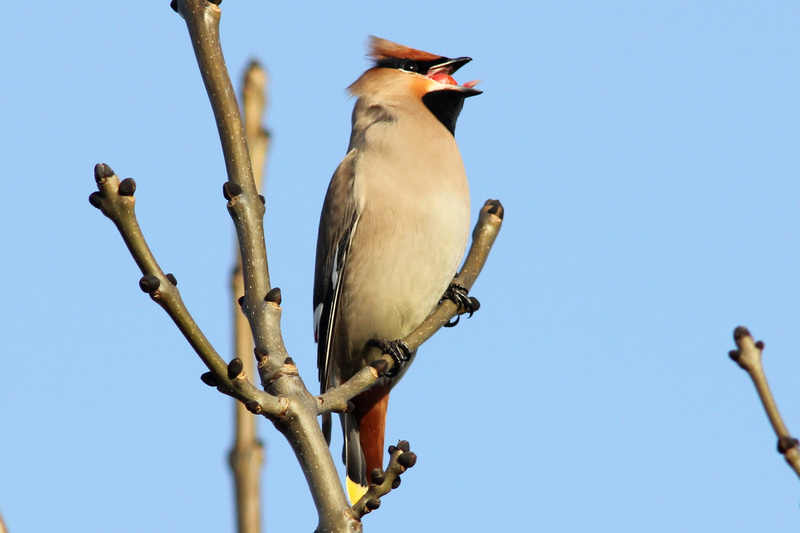 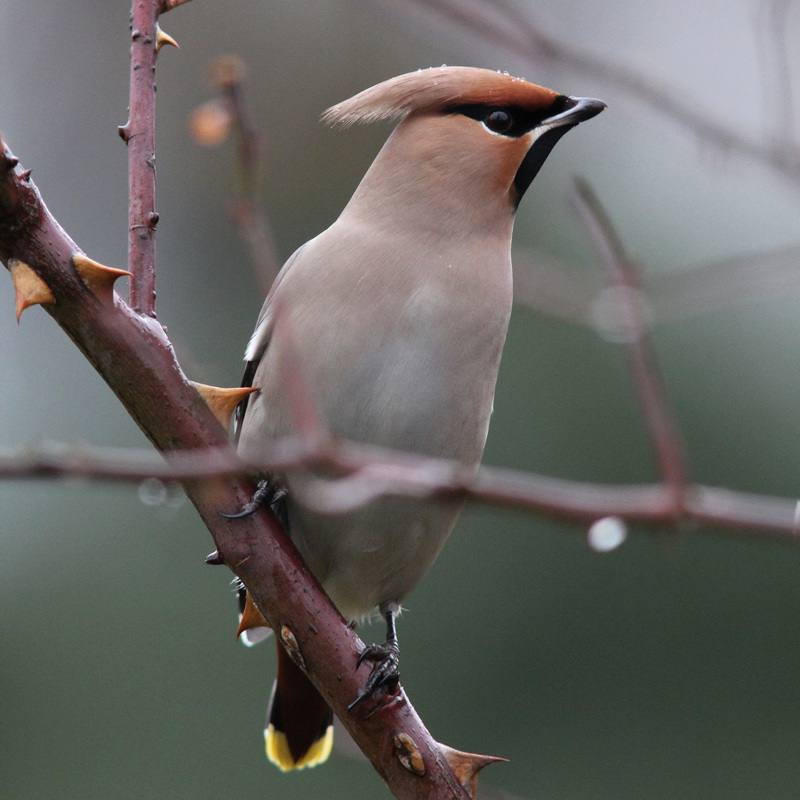 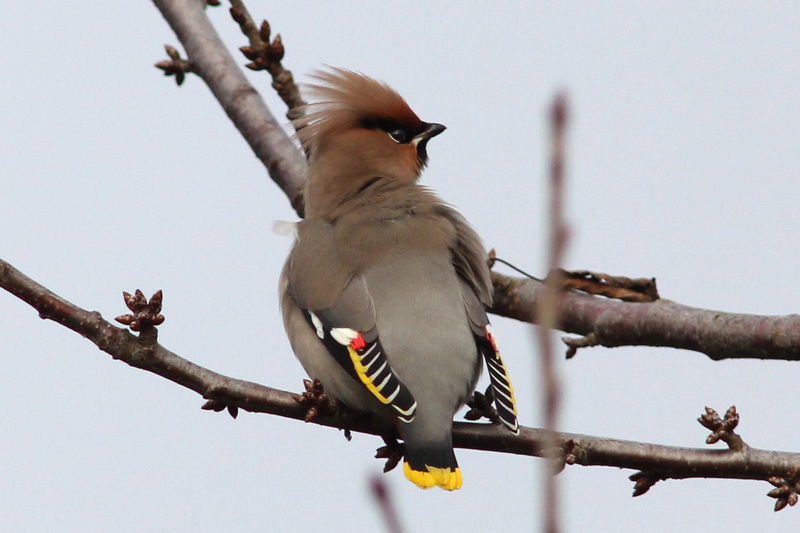 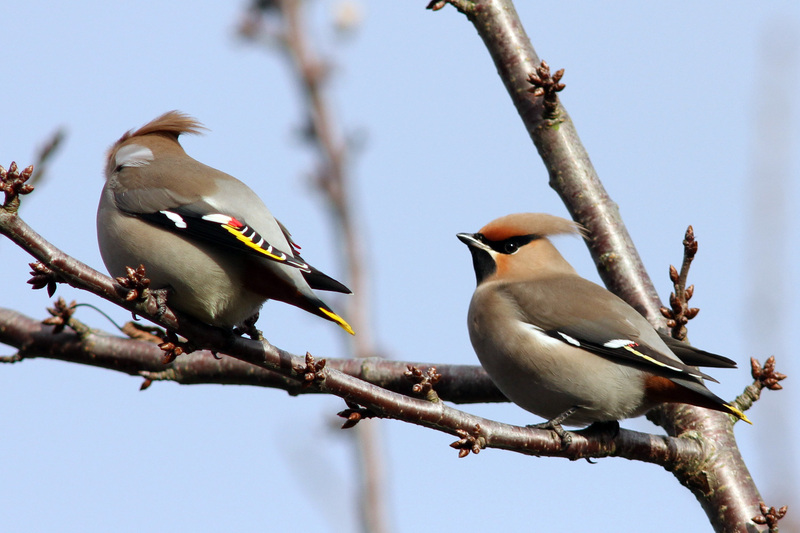 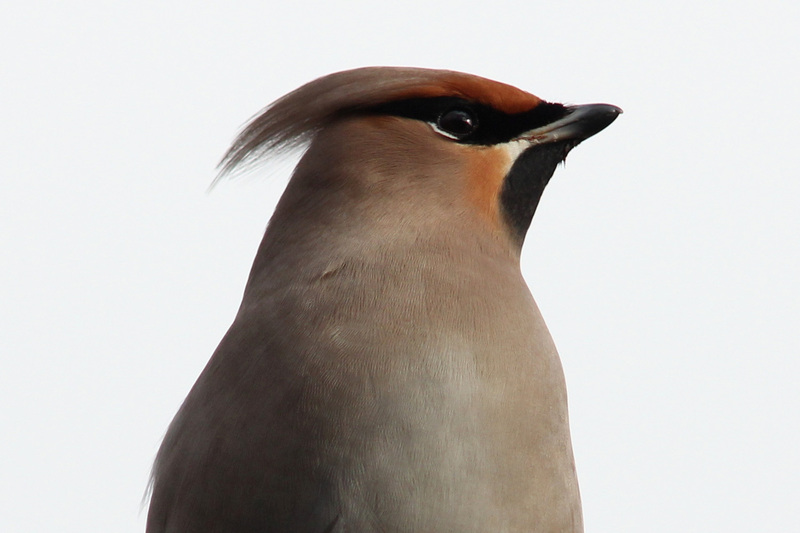 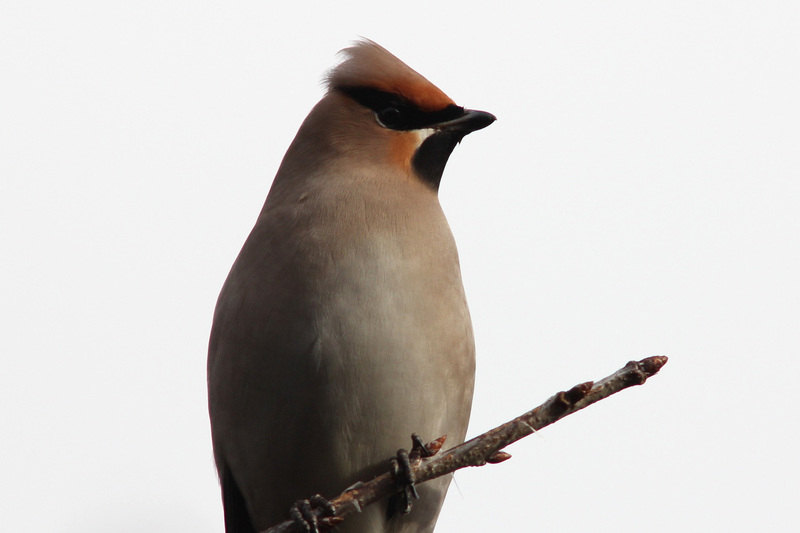 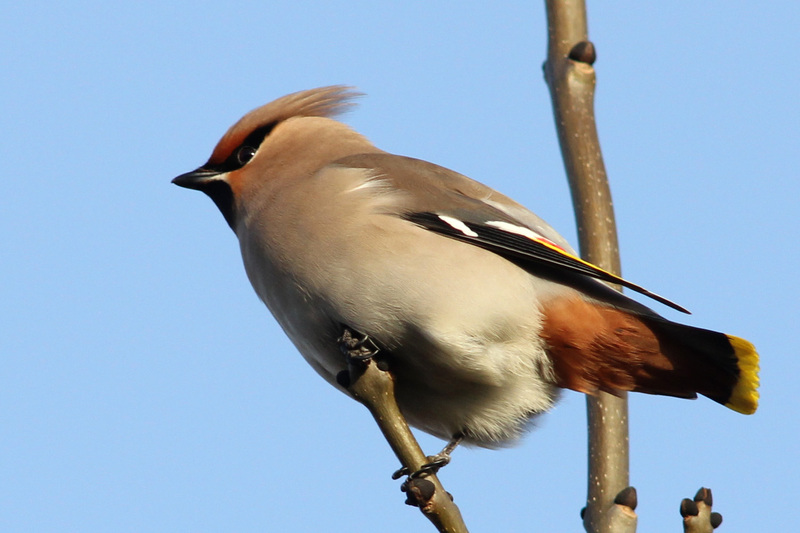 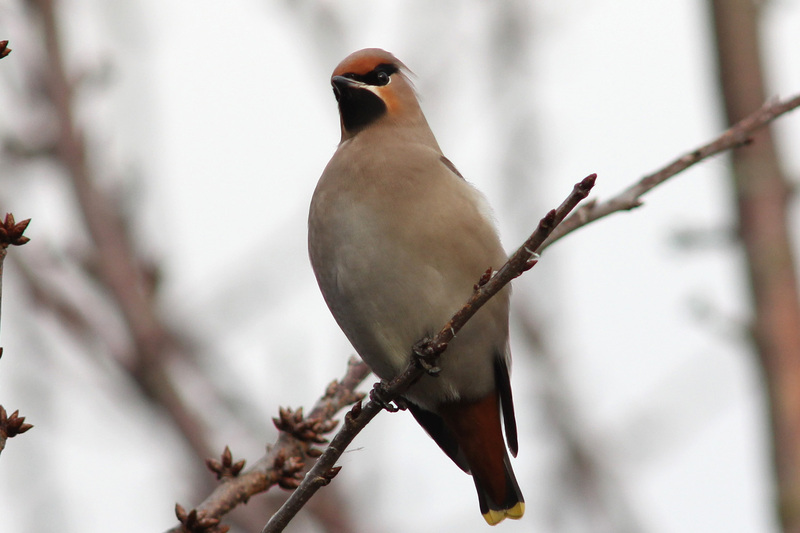 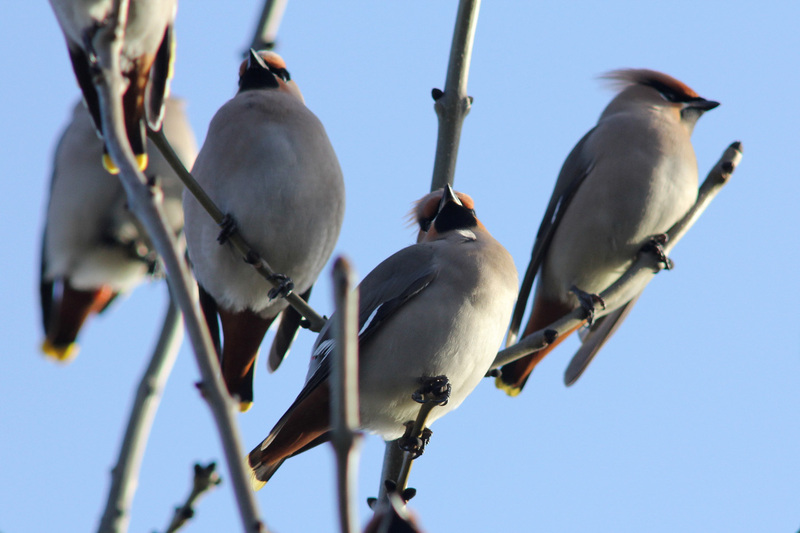 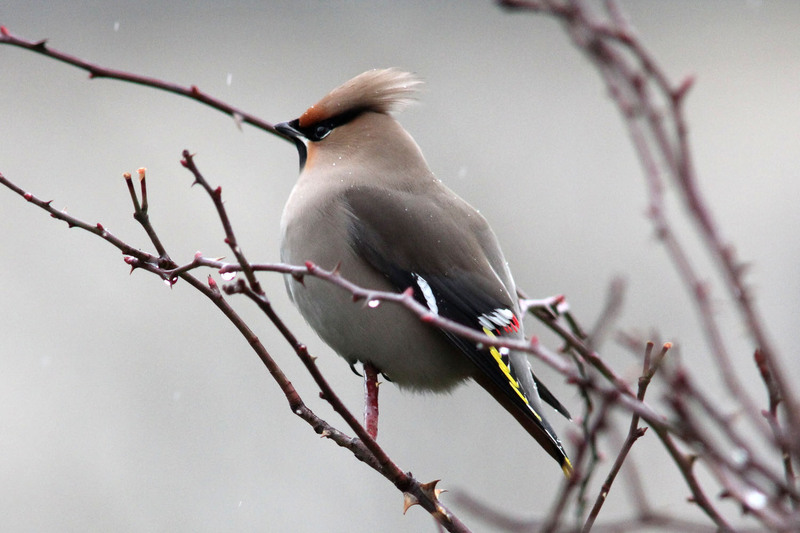 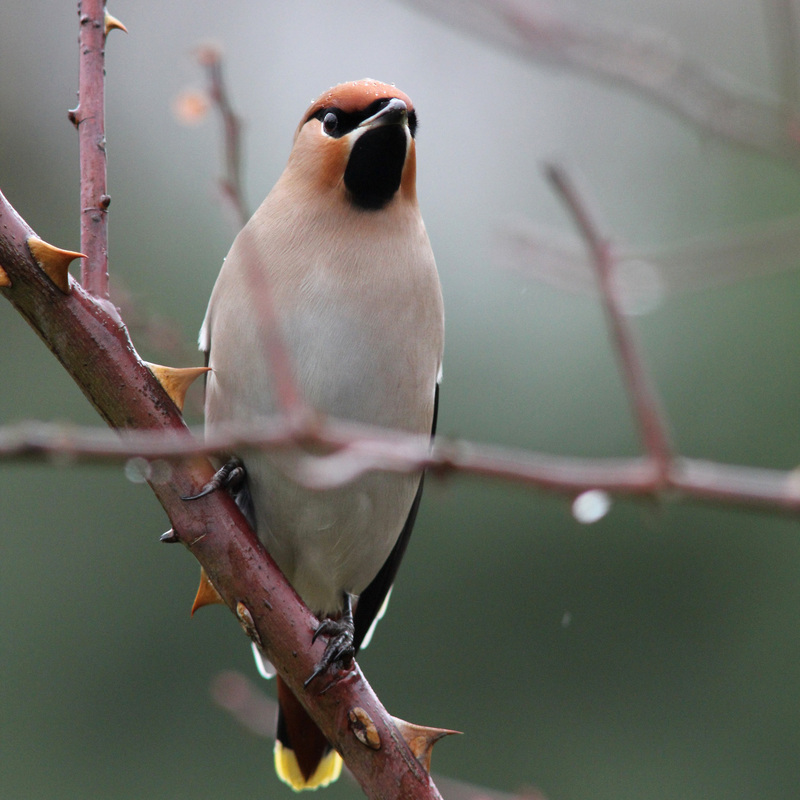 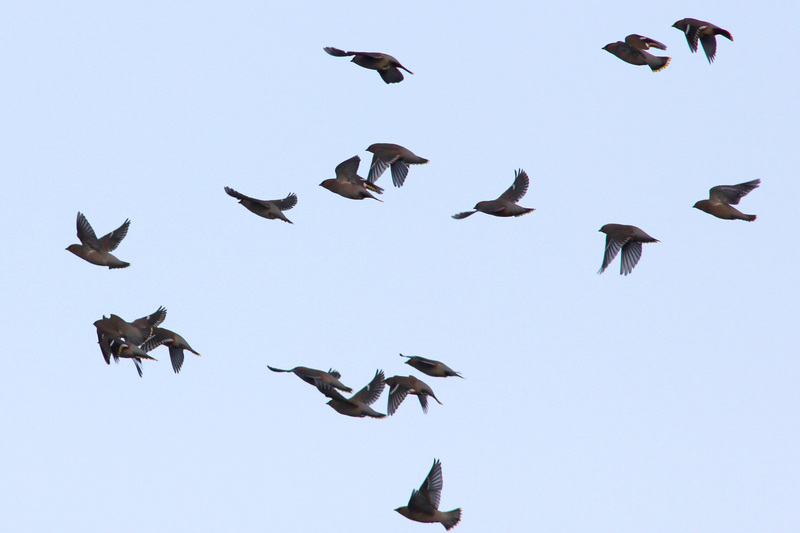 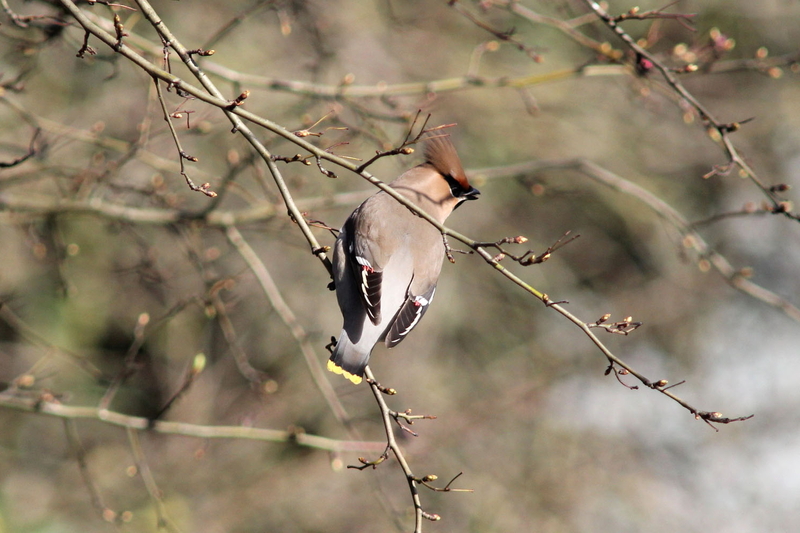 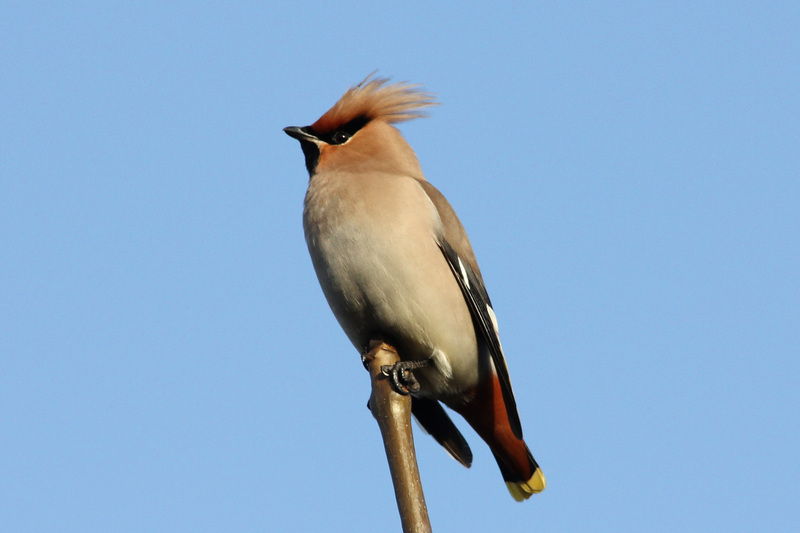 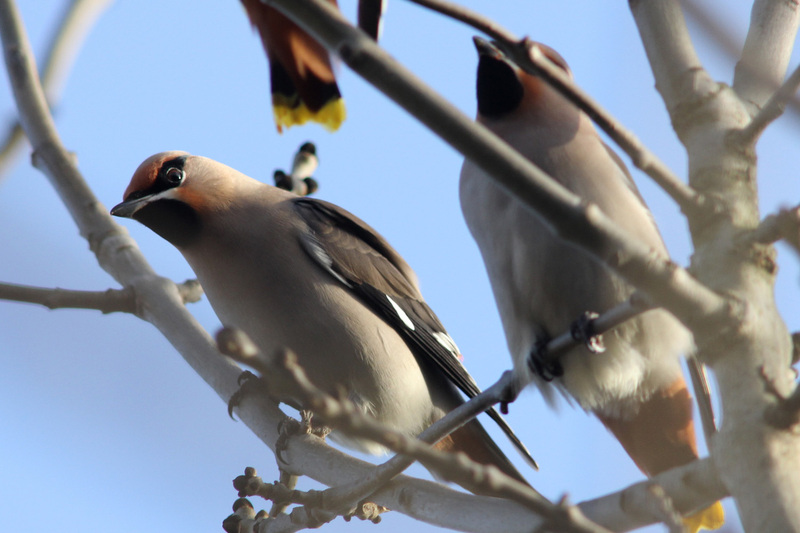 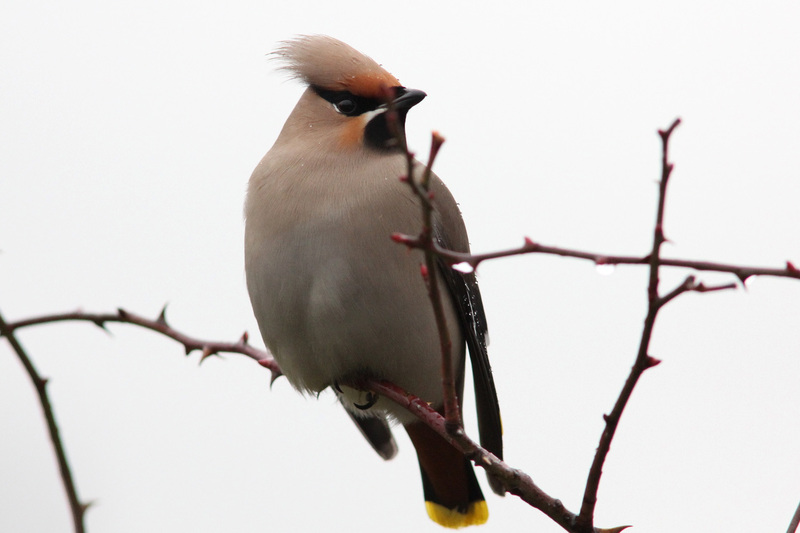 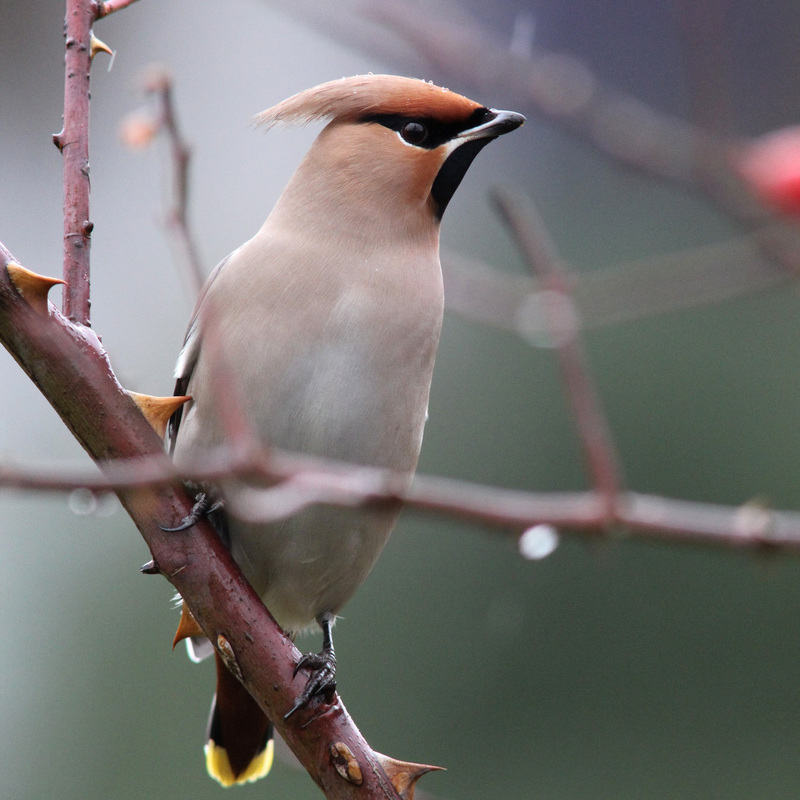 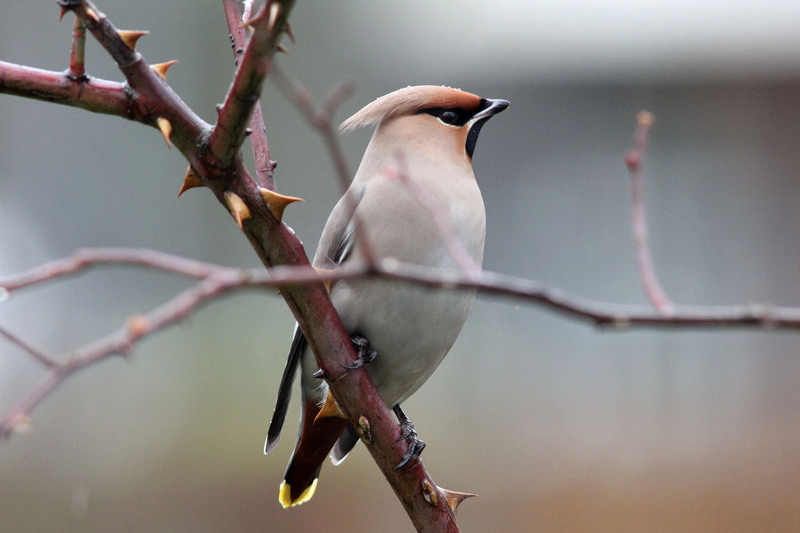 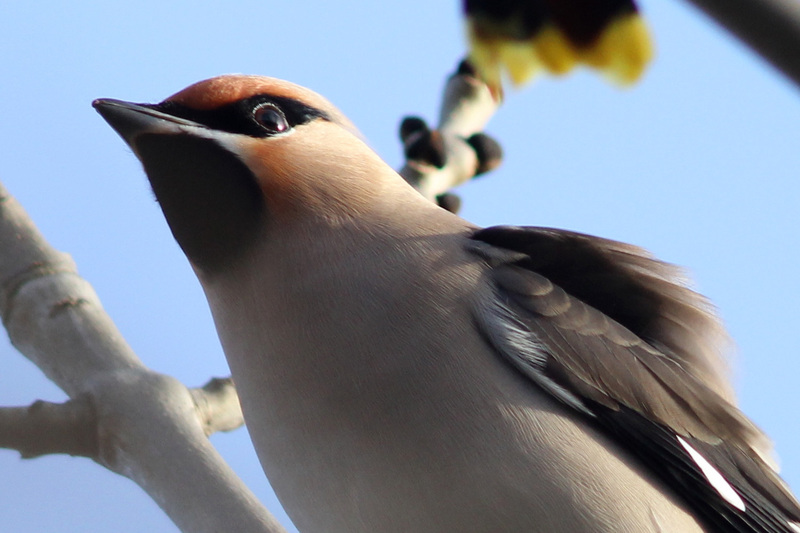 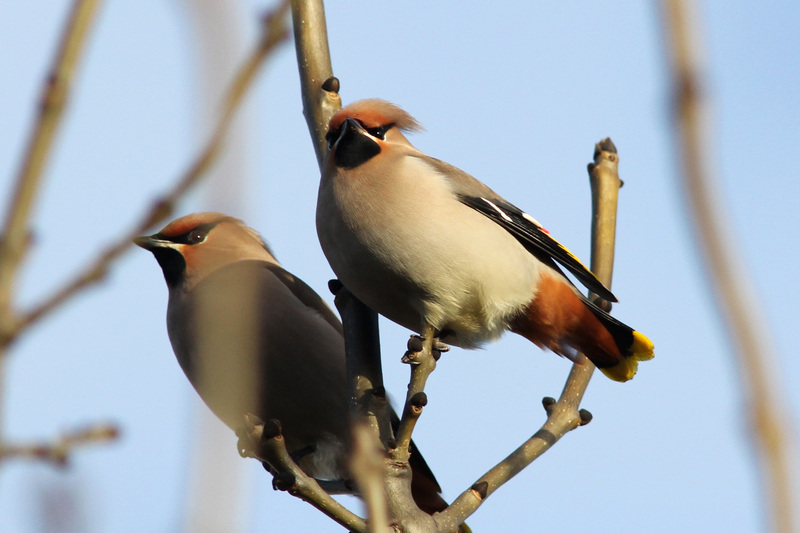 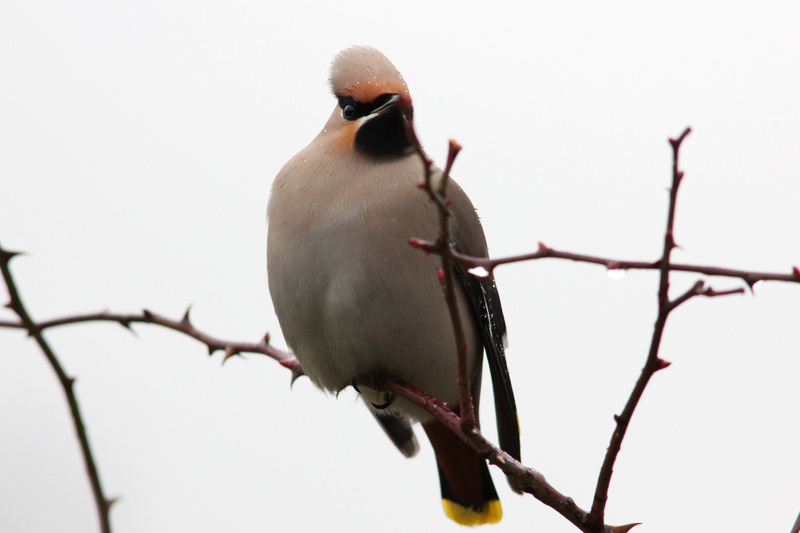 Waxwings are a Winter visitor to the UK. 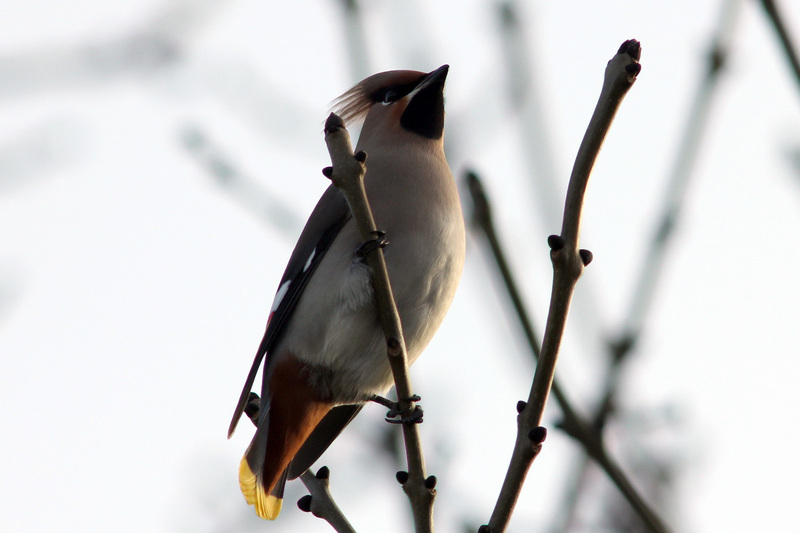 Not uncommon in the North and East but much rarer in the South and West. 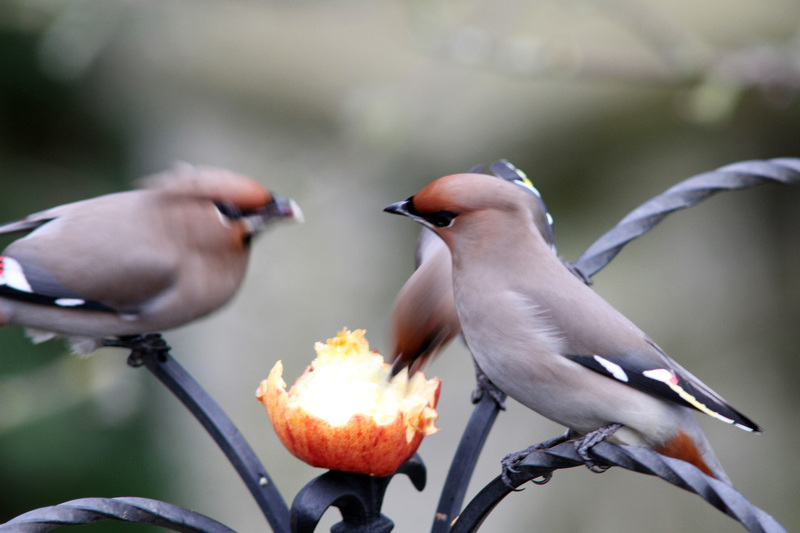 They'll look for berries on trees to feed on but will take apple from feeders especially if food is scarce. 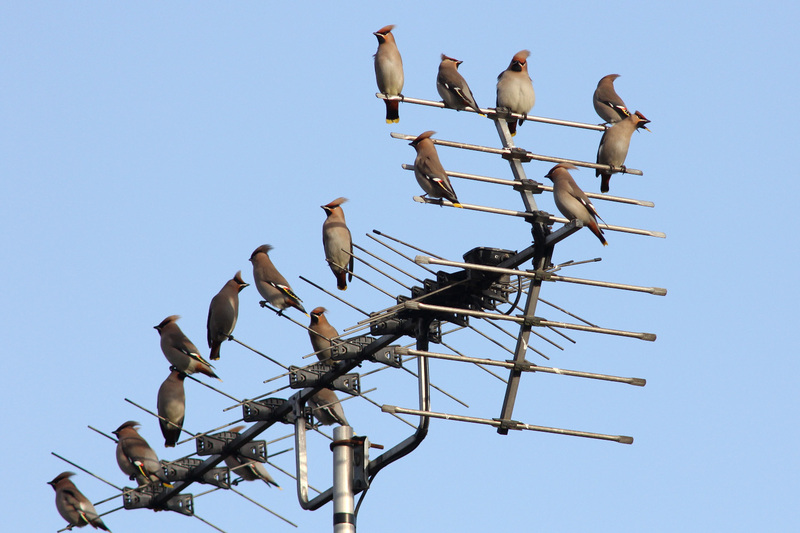 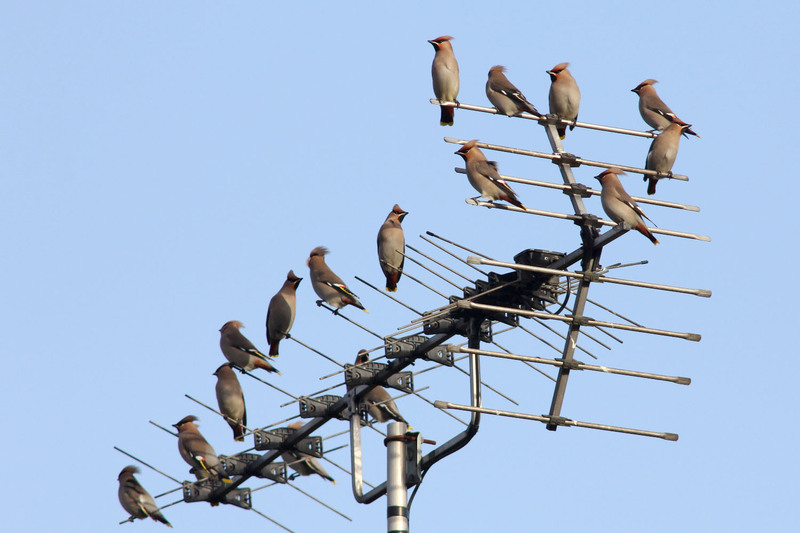 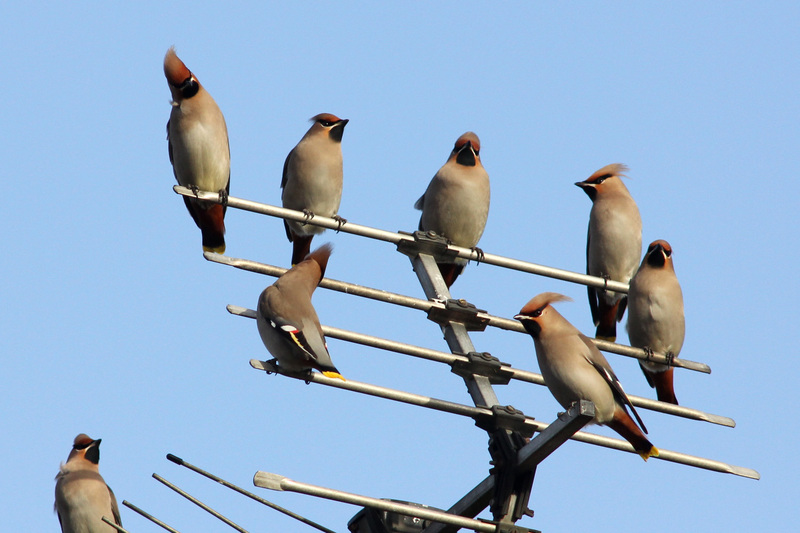 A flock of Waxwings on a domestic TV aerial and a pair of birds preening in a tree.